Debenhams has launched a mischievous matchup between Baker by Ted Baker and the iconic Beano brand and have introduced bright t-shirts, iconic printed polo shirts and coordinating tracksuits for boys and are available both in store and online. 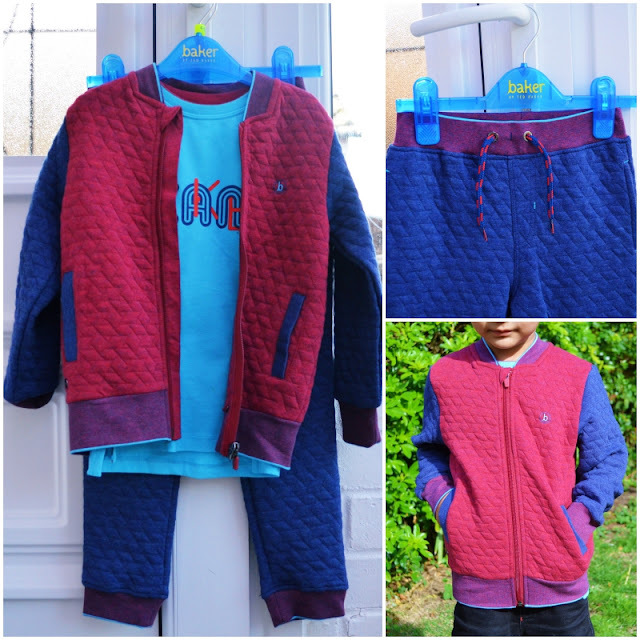 There is a choice of different clothing from their range and some of which like the Baker by Ted Baker Beano Set (£38) are even perfect for winter! The short sleeved Beano t-shirt (£20) has a crew neck. BabyN' loves the colour and the material - it's super comfortable and he love wearing it to the nursery! Check out the Baker by Ted Baker - Boys' multicoloured 'Beano' print sweatshirt, top and bottoms set and Baker by Ted Baker kids clothing. This set from the Baker by Ted Baker range is rich in soft cotton and comprises a quilted sweatshirt with long sleeves and a zip, while the bottoms have an elasticated drawstring waist and is machine washable. Nowadays the PJMasks characters are quite popular everywhere and they can be seen on clothing, water bottles and lunch boxes, toy, watches and on other accessories. 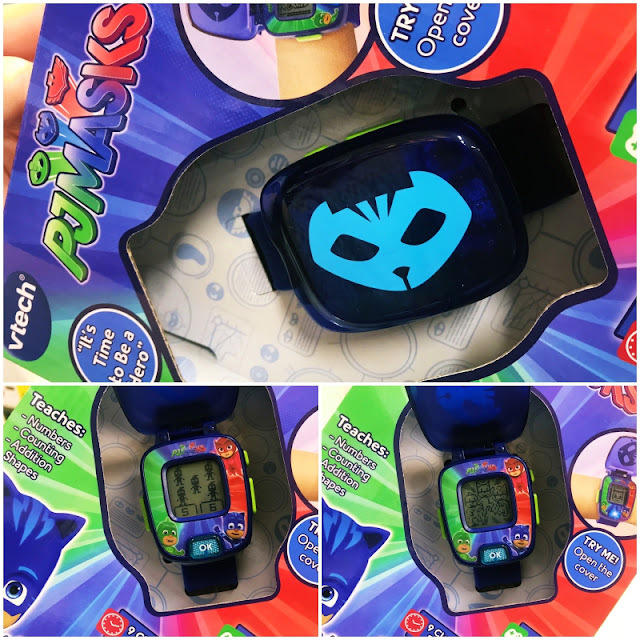 BabyN' really likes Catboy and although Funky Pigeon had the Vtech PJMasks Super Learning Watch in different colours and characters, he choose the one with Catboy Learning Watch. This watch is perfect for ages 3-6 and it teaches numbers, counting, addition and shapes. Also, it has 4 games, 9 clock faces, timer, alarm clock and cuckoo clock. Available in 3 colours - owlette, gekko and catboy, just like Vtech’s interactive toys promote fun learning, this is also a great wearable gadget with a durable design and its good to know that it shuts off automatically to save battery. The watch requires a lithium coin battery which is already included in the watch. The other features in the Vtech PJMasks Super Catboy Learning Watch include games such as - Chase Romeo in the Gekko-mobile and learn shapes, help Owlette chase down Luna Girl and solve addition problems. Moreover, the children can also practise counting with the Ninjalinos, find the largest or smallest numbers with Catboy and choose from nine PJ Masks clock faces. They can learn to time events with friends using the stopwatch or set an alarm with a choice of alarm tones available. 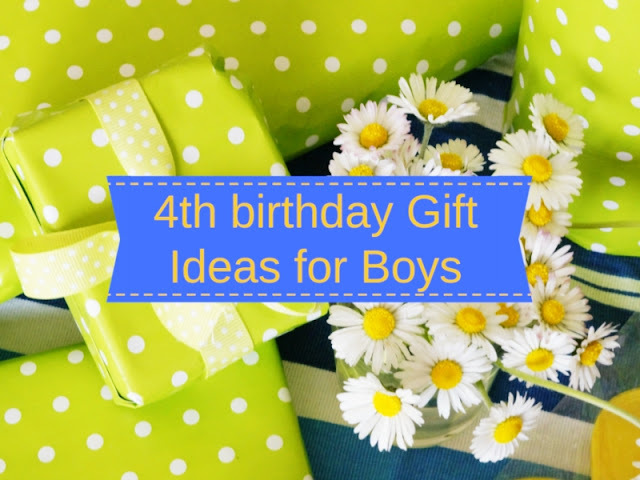 You can also check for more ideas on gifts for boys on Funky Pigeon's website. Children love to dress up and really enjoy pretend play, so I believe its a fantastic idea to gift them the costume of their favourite character. Although there are many costumes being sold in the stores, the most popular among the boys nowadays are the PJMasks, Avengers and Paw Patrol characters. These can either be ordered online or can be purchased from stores. I purchased the PJ Masks Catboy Fancy Dress Costume from Tesco for (£12) and although I can still see it in stores, they not available to order online anymore. However, Argos is selling almost the same PJ Masks Catboy Fancy Dress Costume for 4 year old boys for £14. It's an all in one full printed suit in cobalt blue with all over scale print and contrast flash stripes to legs, arms and body. Also, there is an embossed shiny badge to upper front body and detachable 3D cat tail at the back.The costume also includes a half face mask with elastic strap. The jumpsuit is made of 100% polyester and can be cleaned with sponge only. Children love playing with both sand and water so this can be one of the best of the best presents for letting them with a friend or with a sibling or even on their own. The sand and water table comes with accessories such the sand and water play toys such as a spade, rake and boats - and it's great to keep the little ones busy. Also, the table has a divide down the middle so the kids can fill one half with water and the other with sand. The lid of the table is also very handy, as it can be left in the garden without the sand getting wet so it serves not just a as protective cover but with the lid on, the table can also be used as a desk. Although the sand and water table I purchased for BabyN' already had the toys, he still adds some of his owns toys such as his favourite cars and animals to enjoy some pretend play. The sand does not come with this product, and have to be purchased separately. Cars of any sort can never be a bad ideas when it comes to giving gifts to boys. This stunt car with a double side roll enables children to experience extreme tumbling and enjoy the spinning action. It has an R/C control, 27 mhz power, stop function, 360 spins, and the speed of 7km/hour. The car requires 4x1.5V "AAA" batteries while the joystick requires 2x1.5V "AA"batteries - they're not included in the box and have to be purchased separately. The car is available in three colours - orange, green and blue. This is definitely one of the coolest remote-control car for kids to master flips and stunts and the awesome chunky tires allow the car to bounce off of obstacles and drive upside down. Originally this RC Stunt Car was selling for £25, but has now been reduced to £12.50 and can be purchased from The Entertainer Toy Shop. Orchard Toys has launched a fun reading and spelling game - Suitable for ages 4+ this game is teacher tested and can be played in two ways i.e. in a guided and an independent way. The box contains 12 double sided 3 letter words and 8 double sided 4 letter words along with 68 letter cards and an intrusion leaflet. 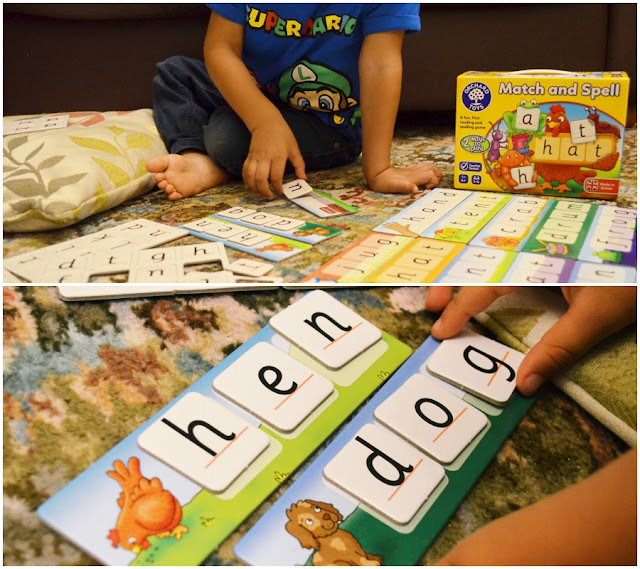 The double sided word boards are meant to extend knowledge by making the entire learning process fun and enjoyable. The idea is to develop early reading and spelling skills in children and enable children to enjoy the fun word building game. The match and spell game promotes language and literacy skills, encourages letter recognition as well as phonetic word building and reinforces matching skills and develops memory skills. Matching letters and recognising letters is the first stage and the core idea of the game, however once the children learn to match the alphabets with the ones written on the simple 3 letter or more complex 4 letter word boards, they can also tell the word by looking at the picture even on the black side of the word board. 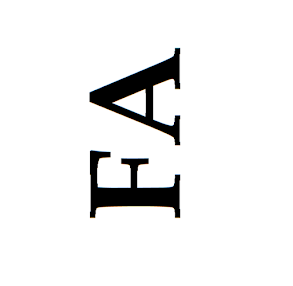 At the later stage, this game can greatly assist the children learn spellings - they can do this by first matching alphabets written on one side of the word board while on the other blank side, they have to think about the spelling of the word by making out the word by seeing the picture and place all alphabets in the correct order. The Match and Spell game by Orchard Toys (£8) would work really well when introducing spellings to preschoolers, as this would enable them to excel in the later stages. BabyN' was really excited when he opened the Football Game by Orchard Toys (£10). It's a unique football themed game developed on the classic idea of snakes and ladders and can be played by 2-4 players. The box contains 4 game boards, one for each player. Also, it contains 4 football counters, 4 character stands, a whistle spinner, goal spinner, dice and an instruction leaflet. The idea of this game is to reinforce numbers and counting skills, encourage children to play in groups as this enables them to develop their personal and social skills and the game also promote observational skills. Children at this age love imaginative play, so this fun game is perfect for them while they watch the ball pass backwards and forwards while all the players race to score the winning goal. The whistle and the goal spinner further make this game exciting and the best part is that each player has their own board. Orchard Toys have focused on the idea of learning through play and have developed games and jigsaws creating a perfect balance between fun and education. 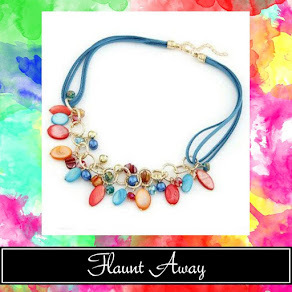 You can also check out more products from their range on their website. 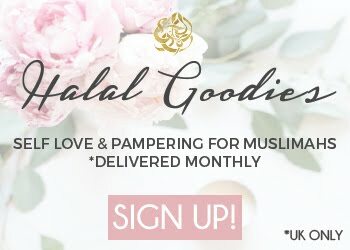 Disclaimer: This is a collaborative post & some items were received as PR packages. Oh wow, the cat boy costume is so cute! Adorable present ideas. I have a 3rd birthday coming up for my god son but I think he will still love the costume! Oh I wish the beano and ted baker range came in adult sizes! would totally wear this myself. These are fantastic ideas! 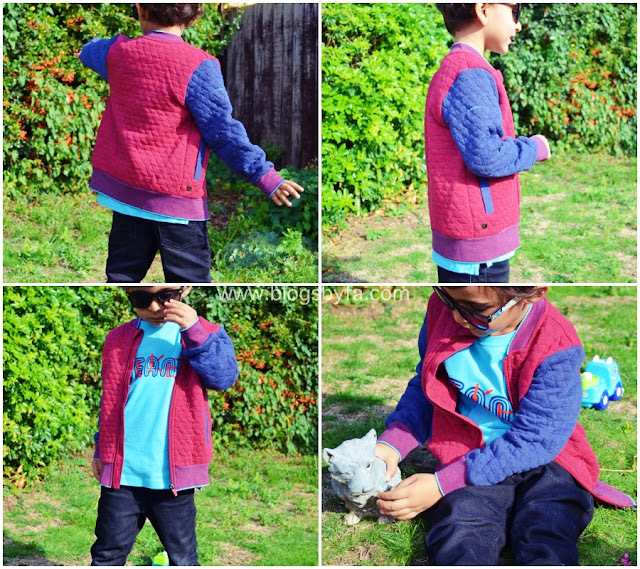 I love the Ted Baker clothes, and I know my little boy would love all of the toys! He's obsessed with PJ Masks at the moment! These are all great ideas. I love the Baker quilted sweatshirt, it looks so warm and comfy. I always find boys so hard to buy for, thank you for these ideas! We have both the orchard games and yes I would definitely recommend them too.